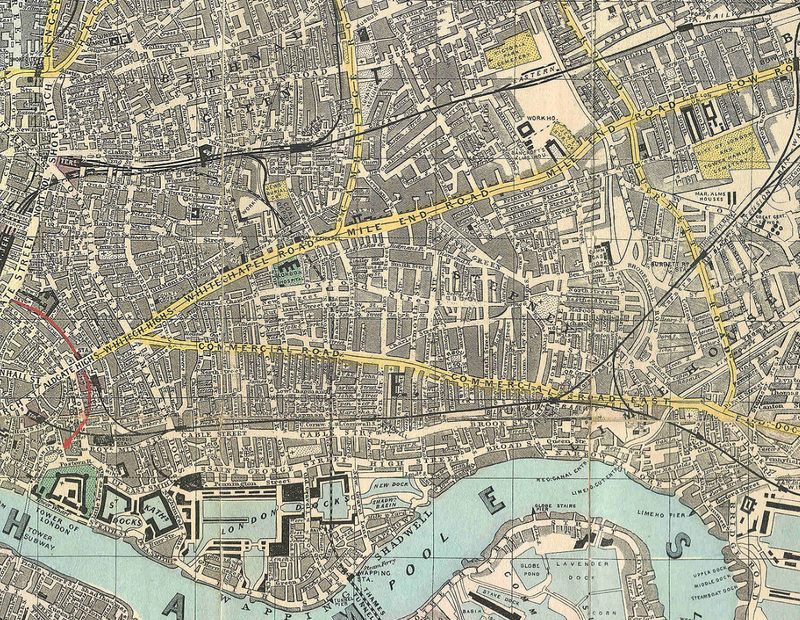 The East-End has its origins but it is also a notion in constant motion. Its blurry geography remains determined by poverty, migration, politics, affordability and access to central London. 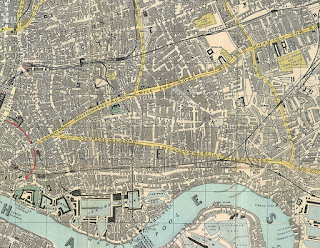 A later map redefine the area of the East-end by the end of the second World War. 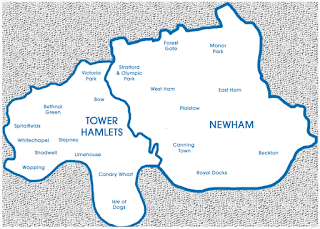 It comprises the borough of Hackney and Tower Hamlets. 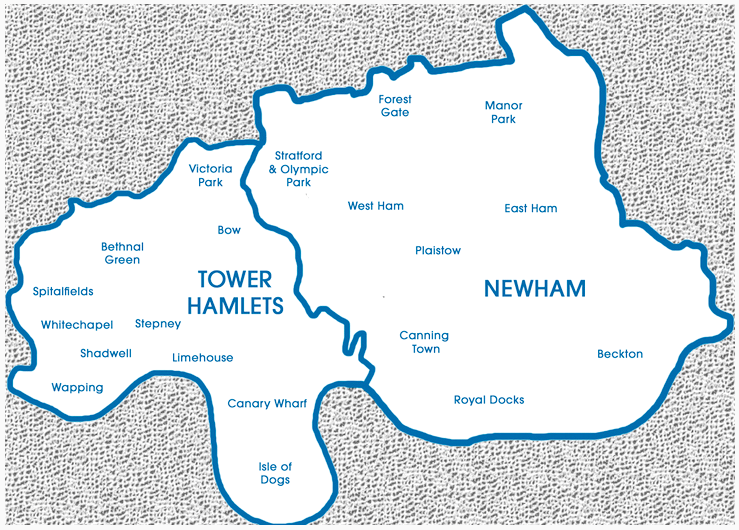 Not only then the Docklands were on the verge of decline but also the impact Nazi Germany had on the area redefined the "zone". The land had been badly hit and in such a bad state that it had to be re-built quickly. Today, with an ever growing population and a regeneration program sparked by the 2012 Olympics we can re-think the East-End with the inclusion of the wider Newham borough. 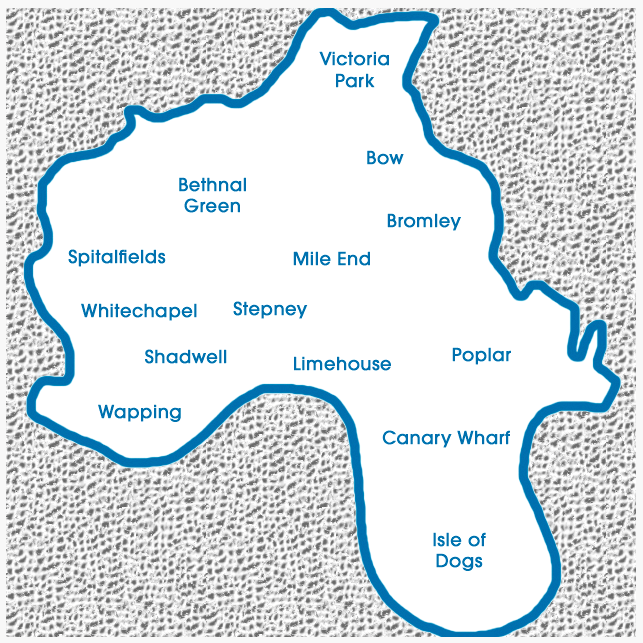 We can observe that the then small East-End from the late 19th Century has grown consistently and exponentially. 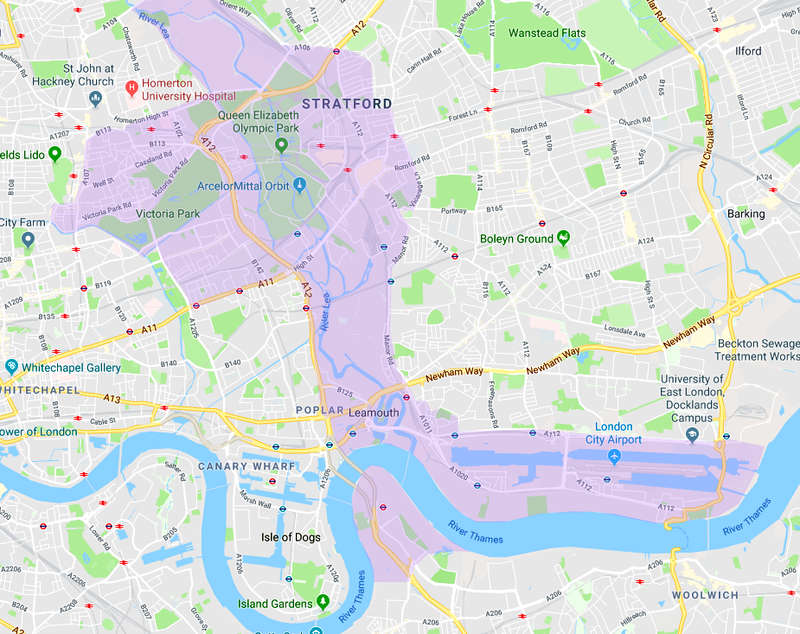 When I started the project in December 2009 I personally focused my work on the transience of the East-End in relation the 2012 Olympic games with its major building sites and architectural alterations burgeoning between Hackney and the new Stratford. 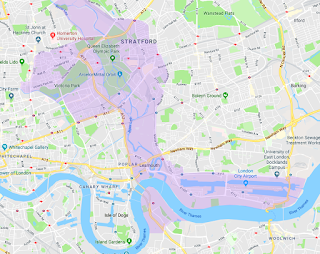 The purple area represents my photographic investigations. North Greenwich peninsula, which I photographed last year, was an exception being South of the River (I will take it as a pivotal moment with my future work) That said I personally see it as an extension of the East-End phenomena after being a deprived, or an oddity within the landscape not so long ago. 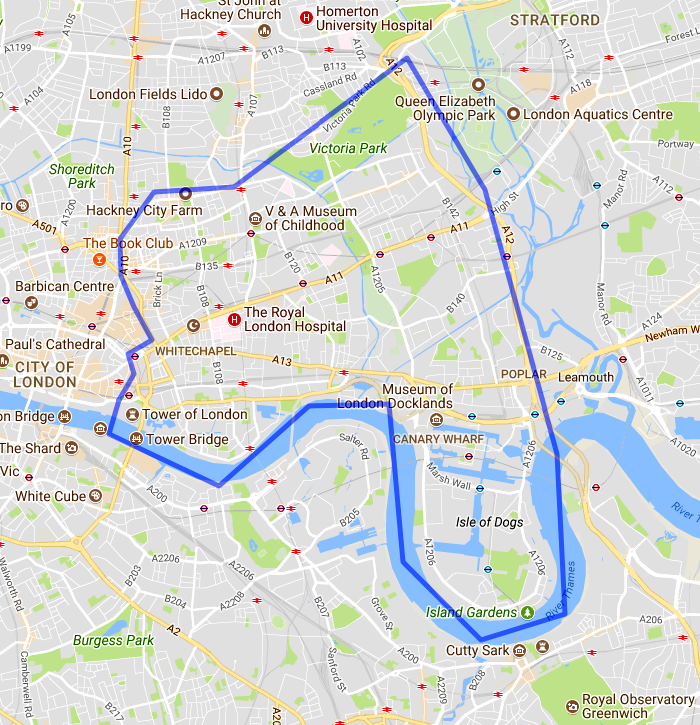 The Jubilee line, the cable cars and and the River boat make it easy for commuters and there is this feeling that it is following a pattern similarly experienced North of the River. 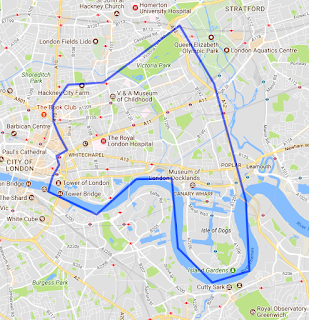 In that sense we could also consider Bermondsey as being "East-End" but I prefer not to engage my research further South as it could become an ever increasing territory to cover. 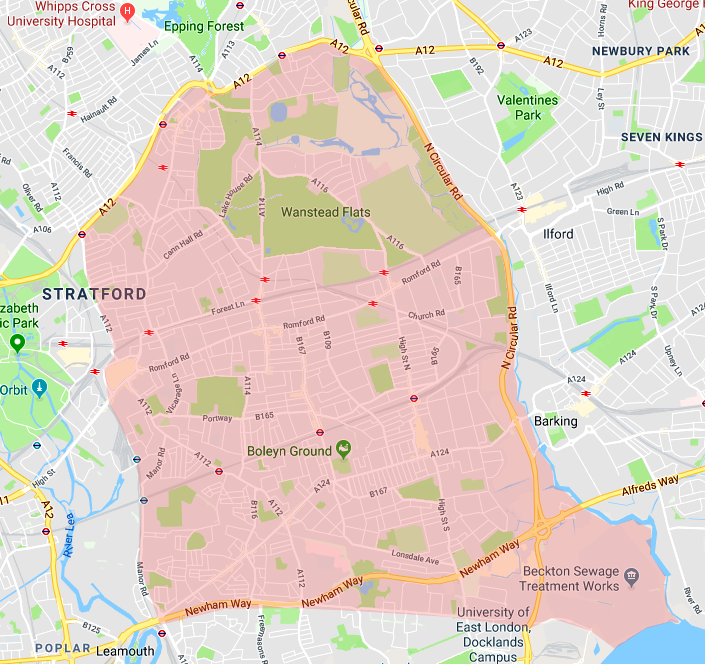 Instead I envisage to start a new phase by concentrating my efforts between the River Lea and River Roding all the way up to Wanstead by the Redbridge Roundabout (see above) I will occasionally return to older areas previously visited to record the changes.